You probably know that it is tradition to have a cake at your wedding, but do you know any other wedding food traditions? In most cultures, food is used to symbolize the happiness and togetherness of the couple, and sometimes even used to seal the ceremony! Consider these five wedding food traditions from around the world for your wedding. In Italy, it is tradition for the bride and groom give each guest five sugared almonds. These tasty treats symbolize that everything in life, including relationships, has both sweet and bitter sides. Sugared almonds also make great wedding favors. Try buying candied almonds and then putting five of each color in a little bag to hand out to your guests. The Croquembouche is an old French tradition that is perfect for any couples looking for an alternative to a cake. If you still want the cake, it can be served alongside as an appetizer. The Croquembouche is essentially a tower made out of cream stuffed pastry balls that are then glued together with caramel. While you will need an accomplished pastry chef to pull this off, you can indulge in one of the oldest (and most delicious) French traditions. 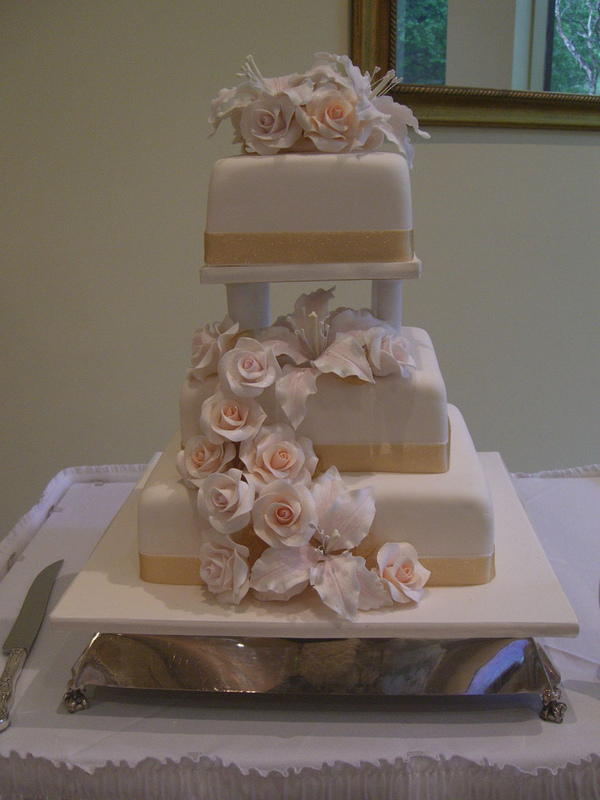 Historically the bride and groom have to lean over the top of the pastry tower and kiss before eating it! If you’re looking for a simple but delicious way to serve your guests, then a Moroccan tagine may be just the thing. The idea is that you make one very large pot of tagine soup, and then pass it around amongst all of the guests. You can also use this idea as a starter, as it symbolizes the togetherness and family status of everyone present. Moroccans also traditionally serve fruit instead of cake at the wedding, but then send pastries home with the guests. A German traditional wedding soup whose name literally translates into ‘wedding soup’ Hochzeitssuppe is a delicious and light tradition that you can include as an appetizer. The soup itself includes chicken broth, asparagus, small meatballs, and chicken. Some also add raisins, but this is usually up to the bride and groom. While this traditional layered cake originates from Norway, anyone can enjoy it. The cake is made of layers of donut-like cakes made of almonds, sugar, and egg whites. These cakes are then stacked into graduating rings so that you have a tier. Because they are hollow in the center, they are usually either stacked around a pole, or a bottle of wine or champagne. The latter is the most popular because when the cake is gone, the guests can enjoy the champagne with you as well. Usually a kransekake is topped with icing, but you can probably also top it with frosting if you so choose. Wedding traditions are different everywhere in the world but food usually plays a huge part in the festivities. In China a 14 course meal is traditional. In India, festivities last for up to a week, and there is always plenty of food for everyone. In England, fruitcake is the traditional wedding cake! Because there are so many traditions to choose from, you can likely easily pick your own based on your heritage and that of your future spouse. Combining traditions may be a challenge, but you’re sure to create something beautiful, and special. Catherine Dobben is a full time wedding blogger at BestBride101.com. Weddings are her passion, and she loves everything about them. She’s now engaged to the man of her dreams with two great kids!